Welcome to the premiere episode of The Loneliness Project, an audio production of WRFI and the Ithaca College Park Scholars Program. From mental health to social media, reporters throughout the Ithaca community are analyzing the issue of loneliness through multiple lenses. This piece is also part of a larger multimedia collaboration with The Ithaca Voice and The Cornell Daily Sun. This week, we start with a story that is both personal and powerful. Our first episode focuses on someone who struggles with bipolar disorder. Some doctors say this person has one of the most severe cases of bipolar disorder they have ever observed. As a content warning, this episode will include mentions of suicide. Reporters Elena Piech and Sophia Tulp reported this piece, with editorial supervision from WRFI’s Laura Rosbrow-Telem. Mars Booker and Elena Piech wrote and produced the theme music. All other music was provided by AudioBlock. We especially want to thank Engaged Cornell and The Sophie Fund for supporting this collaboration and The Park Foundation for supporting the Park Scholars Program and WRFI. The Loneliness Project will explore more topics relating to loneliness and mental health in the next five weeks. 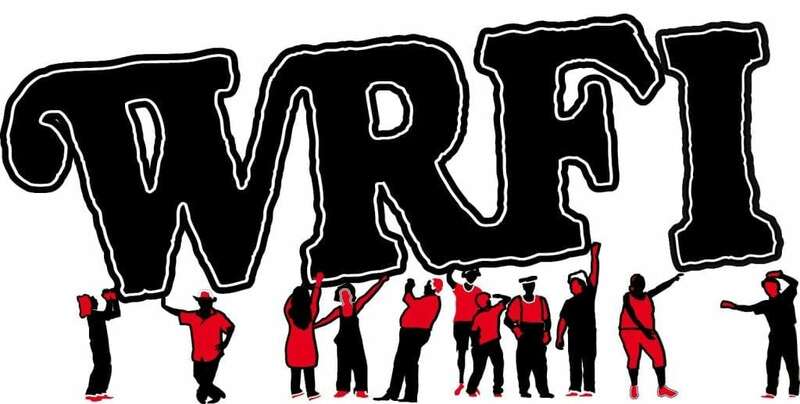 Listen in on Fridays after WRFI Community Radio news headlines at 6 p.m. Tune in live at 88.1 FM in Ithaca and 91.9 FM in Watkins Glen. Or stream online at wrfi.org. If you feel like you are in crisis, or know someone who might be, you can call the National Suicide Prevention Lifeline. It is a free, 24-hour hotline, at 1.800.273.TALK, or 1.800.273.8255. If you are on Cornell University’s campus, you can reach their health center’s Crisis Counseling and Intervention line at 607-255-5155. Ithaca College students and members of the Ithaca community can call Ithaca’s Suicide Prevention and Crisis Service at 607-272-1616. *This piece first aired on WRFI Community Radio News on Nov. 9. We are proud to say The Loneliness Radio Project won a 2019 first place award for Outstanding Public Affairs Program or Series from the New York State Broadcasters Association. The full transcript is below. But if you can, we highly encourage you to listen to the piece above. 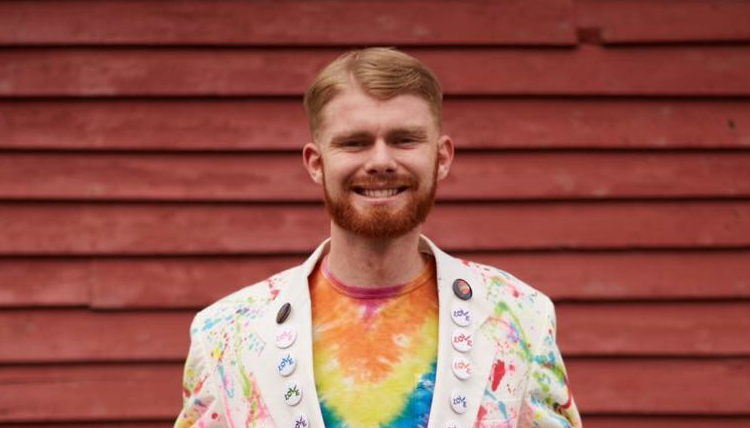 Christopher is from Melford, N.J. and up until last month, he was a student at Ithaca College. His time at Ithaca was broken up by his struggles with bipolar disorder. He has taken six medical leaves of absence — in total, six semesters off school. And now, he is leaving the college altogether. “The college experience was on, off, on, off, and it was so dependent on whatever my mood cycles would be. And there were six total medical leaves and they’re kind of a blur actually,” Christopher reflects. But it was not always like this for Christopher. He thinks his bipolar disorder was actually triggered by an accident when he was younger. He says, “Basically when I was in 8th grade, I was someone who was really established in my community. I was a star athlete, really good at baseball, really top notch in the classroom. I was valedictorian of middle school, gave the graduation speech. “But shortly before the speech, I had this really serious head injury. I was doing a baseball exercise drill where I attached a metal clip to a garage door. It was a bandwork drill, so I was stretching my arm and I was doing the bandwork, and the metal clip came undone and – BOOM! – smacked me in the back of the head. It hit me so hard. There was a waterfall of blood – it was disgusting. And I had a really bad concussion from the accident. My doctors today think that triggered dormant gene for bipolar disorder. Moving forward, things just started to change, they changed dramatically. And all the sudden I was not myself. “I didn’t know I had bipolar disorder at the time. This was my first time experiencing these symptoms. And that was the reason why I was not like my usual self. Christopher’s bipolar disorder is marked by periods of high highs – what he calls mania – and low lows – severe depression. He describes what this feels like. “Mania is a feeling of intensity,” he explains. “There’s a lot of passion, there’s a lot of emotion. There’s a ton of energy. I felt like I was on the top of the world. I slept much less, my thoughts raced at a million miles a minute. I had all these really big ideas and I just thought I could conquer anything, everything was in my grasp. Christopher is a Park Scholar at Ithaca College. It’s a competitive program for community servants and communications leaders. It offers a full-ride to the college. Christopher was supposed to start as a freshman in August 2014, but he didn’t go his first semester. Instead, he took his first leave of absence — the start of a pattern that would mark his entire college experience. “IC been extraordinary in that process,” he says warmly. “I’m so blessed by how supportive in unwavering ways they’ve been. It’s a really simple process at IC. You go to Hammond Health Center and you express you’re in need of a leave. You have to get a form filled out by your doctor and your doctor has to sign off on that. You can decide whether you take one medical leave or two medical leaves, and you go through that whole initiative. And when Christopher is experiencing these symptoms and feeling this way, he takes a leave of absence from Ithaca College, and goes home to start different treatments. He has tried over 300 different combinations of medication. But none of these remedies have worked the way he wanted them to. “Each medication can have different effects,” he says, walking us through his daily pill routine. Christopher has also tried two experimental treatments. “The major treatments that I have tried have been Transcranial Magnetic Brain Stimulation (TMS) and electroconvulsive therapy which is basically ECT but brainshock therapy,” he says. During TMS, doctors use a magnetic field to stimulate nerve cells in the brain. For some people, it is supposed to improve symptoms of depression. “That I did many times, did many treatments, tried every avenue of that treatment, and TMS failed. And then I went to ECT,” he recalls. For ECT, doctors use anesthesia, then pass electric currents through the brain. This shocks the brain and triggers a brief seizure. ECT was supposed to change Christopher’s brain chemistry and reverse his symptoms. The Mayo Clinic reports that it is one of the most intense treatments for severe mental health conditions, and it is successful in 80 percent of cases. “And it epically failed for me. And not only did it epically fail, but it also re-impacted my memory. These are memory challenges that I still have,” he explains. The failures of these treatments have had a profound impact on Christopher. They highlight the severity of his depression. He says that it makes him feel lonely and that it’s hard for people to understand what he’s been through. So now, Fall 2018 was Christopher’s final semester. With the Park Scholarship program financially unable to continue supporting leaves from the college, he decided to make this his sixth and final one. Christopher says he recognizes that higher education is not the right place for him for now, and he takes solace in his strong faith in spite of it. “And so yeah, medical leave, medical leave, medical leave. It was just this recurring factor. I think I set a world record, I mean at least a self-appointed one, I’ll give myself that credit. But it’s just something where it just kept happening. But, I accepted Christ. And I have hope. On one of Christopher’s last nights in Ithaca, he gave a sermon at the college’s Muller Chapel. The amount of support he had filled the room. Over 50 people attended. They sang “Amazing Grace” and spoke about their relationships with Christopher. Members of Ithaca’s homeless community were there to thank him for his service over the past five years. Friends and roommates showed up as well. Members of Christopher’s scholarship and church communities also turned out. “The way he loves his friends and his family… Chris goes over the top, and so he dreams bigger than anybody I’ve ever known. And faith for him was a wonderful sign, you could see it, that’s what he was holding onto. I think everybody should have a little faith,” one man said. Despite Christopher’s setbacks, he’s ultimately optimistic about what lies ahead. Christopher shares his next plans: “I genuinely look to the hope of the future. I look to the fact that I’m guaranteed that there’s going to be a day I don’t suffer like this anymore. The future is very much for discovering and I don’t know exactly what it holds, but I know that it’s in the palm of God’s hands. I know that it will be purposeful, I know that it will be filled with passion and drive and encouragement and that there will be incredible people from the past that transfer over to the future. “Hi, my name is Christopher Biehn. I’m 22 years old. I live with bipolar disorder. And it’s a pleasure and privilege to be here,” he concludes. This is the first episode of the Loneliness Project, an audio series by the Park Scholar Program at Ithaca College, in collaboration with WRFI. Elena Piech and Sophia Tulp, who are senior Park Scholars at Ithaca College, reported and produced this episode. Laura Rosbrow Telem, the news director at WRFI, editorially supervised this episode. Mars Booker and Elena Piech wrote and produced the theme music. All other music was provided by Storyblocks Audio. Special thanks to Engaged Cornell and the Sophie Fund for supporting this collaboration, and the Park Foundation for supporting the Park Scholar Program and WRFI. The Loneliness Project will explore more topics related to loneliness and mental health in the next five weeks. Listen in on Fridays after WRFI Community Radio news headlines at 6 p.m. Tune in live at 88.1 FM in Ithaca and 91.9 FM in Watkins Glen. Or stream online at wrfi.org. If you feel like you are in crisis, or know someone who might be, you can call the National Suicide Prevention Lifeline. It is a free, 24-hour hotline, at 1.800.273.TALK. 1.800.273.8255. If you are on Cornell University’s campus, you can reach their health center’s Crisis counseling and intervention line at 607-255-5155. Ithaca College students and members of the Ithaca Community can call Ithaca’s Suicide Prevention and Crisis Service line at 607-272-1616.